Where resorts have announced their single-day lift-ticket pricing, it is included. When not yet released, last year’s prices are offered for comparison purposes. Season: Open now through early June. Terrain: 960 acres. 23 percent expert; 37 percent advanced; 30 percent intermediate; 10 percent beginner. 110 trails, 2 terrain parks. Summit: 13,050 feet. Base: 10,780 feet. Vertical: 2,270 feet. Longest run: 1.5 miles. Lifts: 1 high-speed quad; 1 quad; 1 triple; 3 doubles; 2 conveyors. Lift tickets: Adult full-day, $67 (through Dec. 20), $87 (Dec. 21-Jan. 5), $82 (Jan. 6-April 27); youth (ages 15-18) $55 (through Dec. 20), $72 (Dec. 21-Jan. 5), $67 (Jan. 6-April 27); child (ages 6-14) $32 (through Dec. 20), $45 (Dec. 21-Jan. 5), $40 (Jan. 6-April 27); $25 allseason for seniors 70+; children 14 and under ski free Dec. 1-20; children 5 and under ski free all season. Season packages available, see website. Hours: 9 a.m.-4 p.m. daily. (Black Mountain Express and Pallavicini lifts open 8:30 a.m. weekends and holidays). Terrain: 1,040 acres. 36 percent expert; 16 percent advanced; 30 percent intermediate; 18 beginner. 122 trails, no terrain park. Summit: 11,675 feet. Base: 8,040 feet. Vertical: 3,635 feet. Longest run: 3.5 miles. Terrain: 675 acres. 26 percent expert; 26 percent advanced; 48 percent intermediate; no beginner. 76 trails, no terrain park. Summit: 11,212 feet. Base: 7,945 feet. Vertical: 3,267 feet. Longest run: 3 miles. Terrain: 1,832 acres. 39 percent expert; 42 percent intermediate; 19 percent beginner. 150 trails, 3 terrain parks. Summit: 11,440 feet. Base: 8,100 feet. Vertical: 3,340 feet. Longest run: 2.75 miles. Lifts: 2 gondolas, 11 high-speed quads; 1 triple; 2 doubles; 9 surface/conveyors. Terrain: 2,908 acres. 36 percent expert; 19 percent advanced; 31 percent intermediate; 14 percent beginner. 187 trails, 4 terrain parks (25 acres), 1 superpipe. Summit: 12,998 feet. Base: 9,600 feet. Vertical: 3,398 feet. Longest run: 3.5 miles. Lifts: 1 eight-person gondola; 3 high-speed six-persons; 8 high-speed quads; 1 triple; 6 doubles; 4 surface; 8 carpets. Lift tickets: Single-day window price $99 (last year’s price). Discounts and multiday tickets prices vary and are available on the website. Lowest price guarantee with 7-day advance purchase. Hours: 8:30 a.m.-4 p.m. daily early season, 8 a.m-4 p.m. regular season. Terrain: 470 acres. 26 percent advanced; 39 percent intermediate; 35 percent beginner. 44 trails, 2 terrain parks. Summit: 9,900 feet. Base: 7,870 feet. Vertical: 2,030 feet. Longest run: 3 miles. Lifts: 3 high-speed quads, 1 double, 2 handle tows, 2 ski/snowboard school lifts. Terrain: 2,465 acres. 18 percent expert; 36 percent advanced; 25 percent intermediate; 21 percent beginner. 140+ trails. Summit: 12,313 feet. Base: 9,712 feet. Vertical: 2,601 feet. Longest run: 2.8 miles. Lifts: 1 high-speed six-person; 5 high-speed quads; 5 triples; 4 doubles; 8 surface and conveyor lifts. Lift tickets: Single-day window price $109 (last year’s price). 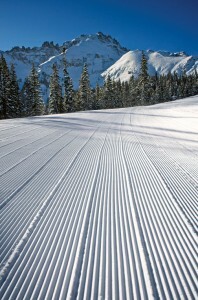 Visit CopperColorado.com for discounts and multiday prices. Terrain: 1,547 acres. 16 percent advanced; 58 percent intermediate; 26 percent beginner. 121 trails, 3 terrain parks plus a snowboard/skier cross course. Summit: 12,162 feet. Base: 9,375 feet. Vertical: overall 3,062 feet (includes hike to The Peak); lift served 2,775 feet. Longest run: 2.6 miles. Lifts: 4 high-speed quads; 2 fixed-grip quads; 2 triples; 3 doubles; 2 surface; 2 carpets. Lift tickets: Nov. 27-Dec. 13: Adult $59; youth 13-17, $53; child 7-12, $32; 65+, $47. Dec. 13-20, Jan. 6-March 6 and March 14-April 6: Adult $98; youth 13-17, $88; child 7-12, $54; 65+, $78; Dec. 21-Jan. 5: adult $101, youth 13-17, $91, child 7-12, $56, 65+, $81; March 8-15: Adult $98; youth 13-17, $88; child 7-12, $54; 65+, $78. Children 6 and under ski free all season. Discounted lift ticket packages available by calling 800-544-8448. Terrain: 680 acres. 30 percent advanced; 50 percent intermediate; 20 percent beginner. 53 trails, 3 terrain parks. Summit: 10,800 feet. Base: 9,200 feet. Vertical: 1,600 feet. Longest run: 3 miles. Lifts: 2 quads; 2 triples; 4 doubles; 1 Poma; 2 conveyors. Lift tickets: (last year’s pricing) Adult full-day $79; child 6-15, $45; senior 65-74, $42; Senior Silver 75+ and children 5 and under, $10; adult half-day (starts at 12:30 p.m.) $64. Terrain: 50 acres. 10 percent expert; 40 percent advanced; 30 percent intermediate; 20 percent beginner. 15 trails, 1 terrain park. Summit: 7,136 feet. Base: 6,969 feet. Vertical: 440 feet. Longest run: 3,678 feet. Lift tickets: Adult full-day $20; youth 7-18 and senior 60+, $15; child 6 and under, $8. First Tracks Ticket (1-3 p.m. Tuesday-Friday) $10; night ticket (5:30-8 p.m. Wednesday-Thursday, 3:30-6 p.m. Tuesday and Friday) $10. Terrain park (no lift access) $10. One-way ticket $5. Nordic ticket (no lift) $13. All Access season pass: Adult $305, youth 7-18, $140; child 6 and under $50; 60+ $140. Alpine Only season pass: Adult $175, youth 7-18, $80; child 6 and under $35, 60+ $80. Nordic Only season pass: adult $150, youth 7-18, $80, child 6 and under $35, 60+ $80. Prices increase $30 each Dec. 1. Hours: 10 a.m.-4 p.m. Saturday and Sunday; 1-6 p.m. Tuesday; 1-8 p.m. Wednesday and Thursday, 1-6 p.m. Friday. Closed Monday. Terrain: 3,148 acres. 57 percent expert/advanced; 29 percent intermediate; 14 percent beginner. 131 trails, 5 terrain parks. Summit: 12,408 feet. Base: 6,900 feet. Vertical: 3,128 feet. Longest run: 3.5 miles. Lifts: 2 gondolas; 5 high-speed quads; 1 high-speed six-person; 1 quad; 1 triple; 3 doubles; 7 surface; 6 carpets. Lift tickets: Single-day window price $67-$114. One-day advance purchase. Multiday advanced purchase lift ticket rates available. Hours: 8:30 a.m. (9 a.m. early season) and close at 4 p.m., 6 p.m. or 8 p.m. on night skiing evenings. Located: 70 miles from Denver via I-70 west to Silverthorne (Exit 205). At the end of the exit ramp, turn left (east) at the stoplight onto U.S. 6. Go 6.2 miles into Keystone Resort. Terrain: 1,800 acres. 46 percent expert/advanced; 41 percent intermediate; 13 percent beginner. 93 trails, 1 terrain park. Summit: 13,010 feet. Base: 10,800 feet. Vertical: 2,210 feet. Longest run: 2 miles. Lifts: 3 quads; 3 triples; 2 doubles; 1 Poma surface lift; 1 magic carpet surface lift (for ski school only). Lift tickets: Early season pricing, through Dec. 13: adults $49, child 6-14, $25. Regular-season pricing, Dec. 14-April 13: adults $61, child 6-14, $27; child 5 and under free; 70+ season pass $89. Terrain: 800 acres. 130 acres (16 percent) is hike-to terrain. The remaining 670 acres is 27 percent beginner, 30 percent more difficult, 43 percent most difficult. Hike-to terrain is 88 percent expert. 53 trails, 2 terrain parks. Summit: 11,952 feet. Base: 10,790 feet. Vertical: 1,162 feet. Longest run: 1 mile. Lifts: 1 quad; 4 doubles; 1 surface lift; two conveyors for ski school. Lift tickets: Adult $65; teens 13-15, $40; junior 7-12, $25; senior 62-68, $40; ages 6 and under and seniors 69+, free. Terrain: 1,600 acres, 600 skiable. 30 percent advanced/ expert; 50 percent intermediate; 20 percent beginner. 63 trails, 2 terrain parks, 1 tubing hill. Summit: 9,850 feet. Base: 8,200 feet. Vertical: 1,650 feet. Longest run: 2.2 miles. Lifts: 1 quad; 2 doubles; 2 surface. Lift tickets: Adult full day $59; youth and senior $51. Terrain: 1,360 acres. 35 percent expert/advanced; 45 percent intermediate; 20 percent beginner. 88 trails, 5 terrain parks. Summit: 10,822 feet. Base: 8,793 feet. Vertical: 2,029 feet. Lifts: 1 high-speed six-person; 1 high-speed quad; 4 triples; 3 doubles; 1 magic carpet. Lift tickets: Adult full-day $77; youth 13-17, $60; seniors 65-79, $66, super senior 80+, $30; child 6-12, $46. Located: 337 miles from Denver via US-285 South to US-160 West, to US-550 North. Terrain: 1,819 acres. 100 percent expert/advanced. 69 trails, 1 terrain park. Summit: 12,300 feet. Base: 10,400 feet. Vertical: 1,900 feet. Longest run: 1 mile. Plus heli skiing on more than 22,000 acres. Lift tickets: (regular season): Adult full-day $99-$139 guided; $49 unguided; all day guide (per person) includes lift ticket; $159 Heli Drops. Hours: Vary; seasons go back and forth between guided and unguided. Call or visit website for schedule. Terrain: 406 acres. 25 percent expert/advanced; 45 percent intermediate; 30 percent beginner. 41 trails, 6 terrain parks. Summit: 9,202 feet. Base: 8,202 feet. Vertical: 1,000 feet. Longest run: 1.5 miles. Night skiing 5-8 p.m. Fridays and Saturdays Jan. 3-April 5. Lifts: 2 quads; 1 triple; 1 double; 1 surface. Lift tickets: (regular season): Adult full-day $64; child 6-12 $44; senior 61-69 $49; kids 5 and under free, seniors 70+ $15. Terrain: 400 acres. 30 percent expert/advanced; 40 percent intermediate; 30 percent beginner. 35 trails, 1 terrain park. Summit: 11,700 feet. Base: 10,500 feet. Vertical: 1,200 feet. 2,400 acres snow cat tour skiing on Chicago Ridge. Longest run: 1.4 miles. Lifts: 1 triple; 1 double; 3 surface (including magic carpet surface lift). Lift tickets: Adult full-day $47; child 6-14 $27; senior 60-69 $36; 70+ $24. Terrain: 3,332 acres. 30 percent expert; 17 percent advanced; 47 percent intermediate; 6 percent beginner. 94 trails, 3 terrain parks. Summit: 12,510 feet. Base: 8,104 feet. Vertical: 4,406 feet. Longest run: 5.3 miles. Hours: The Sky Cab opens at 8 a.m.; the Cirque lift opens at 10 a.m.; the Village Express opens at 8:30 a.m.; all other lifts open at 9 a.m. Last lift closes at 4 p.m. daily. Terrain: 2,965 acres. 44 percent expert/advanced; 42 percentintermediate; 14 percent beginner. 165 trails, 4 terrain parks. Summit: 10,568 feet. Base: 6,900 feet. Vertical: 3,668 feet. Longest run: 3.1 miles. Lift tickets: Single-day window price $80-$109 (last year’s pricing). Multiday ticket prices vary and are available on steamboat.com/tickets. Located: 157 miles from Denver via I-70 west to Silverthorne (Exit 205). Then Colorado 9 north 37 miles to Kremmling, then go west 53 miles on U.S. 40 to Steamboat Springs. Terrain: 680 acres. 5 percent expert; 20 percent advanced; 55 percent intermediate; 20 percent beginner. 67 trails, 1 terrain park. Summit: 9,895 feet. Base: 7,885 feet. Vertical: 2,010 feet. Longest run: 2.5 miles. Lift tickets: Adult full-day $57; child 6-12 and young senior 65-79, $45; child 5 and under and senior 80+, free. Located: 10901 County Road 117, Glenwood Springs, 160 miles from Denver via I-70 to Colorado 82 south and County Road 117 to Glenwood Springs. Terrain: 2,000-plus acres. 41 percent expert/advanced; 36 percent intermediate; 23 percent beginner. 127 trails, 3 terrain parks. Summit: 13,150 feet. Base: 8,725 feet. Vertical: 4,425 feet. Longest run: 4.6 miles (Galloping Goose). Lifts: 2 gondolas; 1 high-speed six-passenger; 15 high-speed quads; 1 fixed-grip quad; 3 fixed-grip triples; 3 surface, 6 conveyors. Lift tickets: Single-day window $90-$129 adults, $63-$89 children (last year’s pricing). Discounts and multi-day tickets available on the website. Terrain: 3,081 acres. 55 percent expert; 19 percent advanced; 18 percent intermediate; 8 percent beginner. 143 trails, 6 terrain parks. Summit: 12,060 feet. Base: 9,000 feet. Vertical: 3,060 feet. Longest run: 4.9 miles (Village Way). Lifts: 2 high-speed six-persons; 7 high-speed express quads; 4 triples; 6 doubles; 3 surface; 1 rope tow and 1 Village Cabriolet. Lift tickets: Single-day window price $65-$109 (last year’s pricing). Discounts and multiday tickets prices available on website. Hours: 9 a.m.-4 p.m. weekdays, 8:30 a.m.-4 p.m. weekends and holidays. Eagle Wind closes at 2:15 p.m. Panoramic Express and Pioneer Express close at 3 p.m.
Lifts: 2 high-speed quads; 1 quad; 1 triple; 1 double; 1 high-speed Poma; 1 carpet. Lift tickets: Adult full-day $58; child ages 6-12 and senior 65+, $31; adult half-day $45; child and senior half-day $24; child 5 and under, $6; 80+ free. We returned to the Colorado ski resort last month for a winter vacation. And we discovered why it ranks among the best snowboarding destinations in the country. 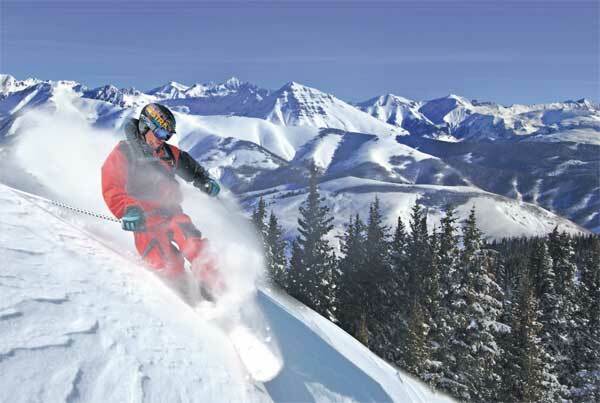 Telluride averages more than 300 inches of snow every year, as well as 300 days of glorious sunshine. An important element for Los Angelinos who are used to seeing the golden rays every day. And so it was on our February adventure. The mountain had received nearly two feet of new snow the weekend before, and we enjoyed sunny skies for the next four days. The only weather bump we had was on our last morning, when high winds roared up the box canyon, nearly blowing us off the top of the mountain. So we stayed on the lower slopes, buffered by the towering peaks above. 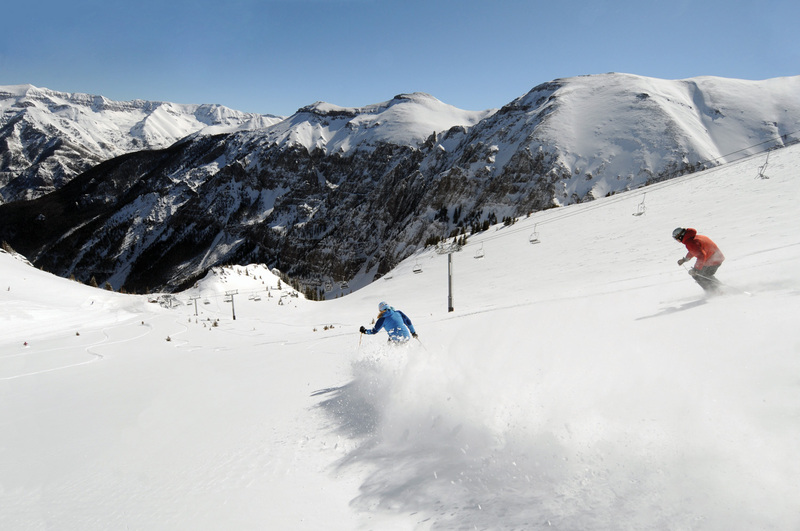 Telluride is huge, it has more than 2,000 acres of skiable terrain. Galloping Goose, the longest run is more than 4 miles long, though there were a few flat spots that requires some poling. We found the 125 perfectly groomed every morning, which is quite an accomplishment for a resort this big. This runs ranged from refined groomed runs to some challenging moguls. I liked it because many of the trails were wide open boulevards that left plenty of room for everyone. No crowding and squeezing here like you might find at Bear Mountain or Mountain High. In fact, during the second week of February, we often found ourselves skiing by ourselves. There were literally no other snowboarders within sight or sound. Telluride has a lift capacity of more than 22,000 per hour. That includes two high-speed gondolas, seven high-speed quads, one fixed quad, two triples, two doubles, two surface lifts and a couple magic carpets. We never stood in line for more than a few minutes. Most of the time we jumped right on the next available chair. The popular resort has a nice variety of terrain. The breakdown is approximately a quarter beginner, a third intermediate and 40 percent advanced. After warming up on the easy stuff, we advanced to the the bright blue runs. There’s so many trails that Telluride even breaks the runs down into double green for advanced beginners and double blue for the harder intermediate trails. Of course, there were also the diamond runs for the advanced skier and the double diamond trails for the cliffs, chutes and cornices for experts only. The ski resort has even installed a bridge and steel staircase between Gold Hill Chute 8 and 9 to provide better access to Palmyra Basin. Experts can test themselves on the Gold Hill Stairs, climbing to the tip top of the mountain and the extreme terrain in the Gold Hill Chutes. The mountain sports a vertical drop of 4,425 feet, with a lift served vertical drop of 3,845 feet. Snowboarders will find a great range of freestyle terrain parks on the mountain. Beginners will like Ute Park, which features a mini snow-cross, small jumps and ride-on boxes. Misty Maiden Park was designed for intermediate to high intermediate riders. It has medium jumps, rails and boxes. Advanced riders will like Hoot Brown Park with its large jumps, as well as a wide variety of rails and boxes. Skiers come from around the world to ski at Telluride. One gentleman from Mexico brought his many children and grandchildren. Der Sitzmark Ski Club from Pittsburgh was certainly having a grand time. The club has more than 300 members, who enjoy weeklong ski trips throughout the country including an upcoming one to Crested Butte. “Telluride is one of our favorites, we always have some great skiing here,” said the club president and one of its founders.